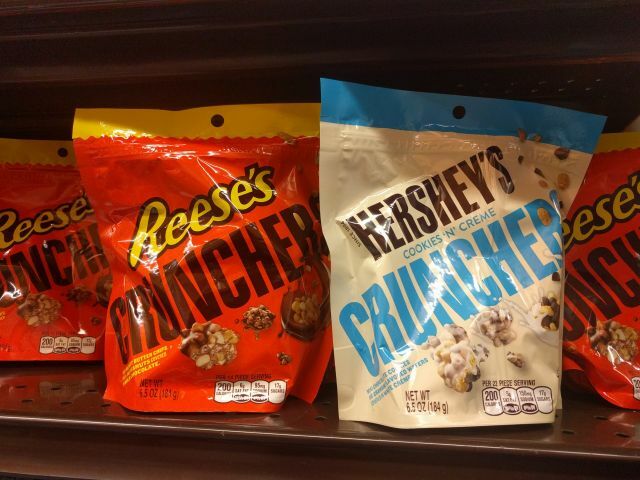 New Hershey's and Reese's Crunchers are Latest Attempt at "Snackfection"
Looking to expand from chocolate and candy indulgence to snacking occasions, Hershey's has launched new Hershey's Cookies 'N' Creme Crunchers and Reese's Crunchers. Hershey's Cookies 'N' Creme Crunchers feature bite-sized clusters of mini chocolate cookies and graham flavored wafers covered in white creme, while Reese's Crunchers are clusters of mini peanut butter chips, rice puffs, and peanuts covered in milk chocolate. The new products are part of Hershey's "snackfection" line. The name is a portmanteau of "snack" and "confections" that looks to blur the line between candy and snacks. 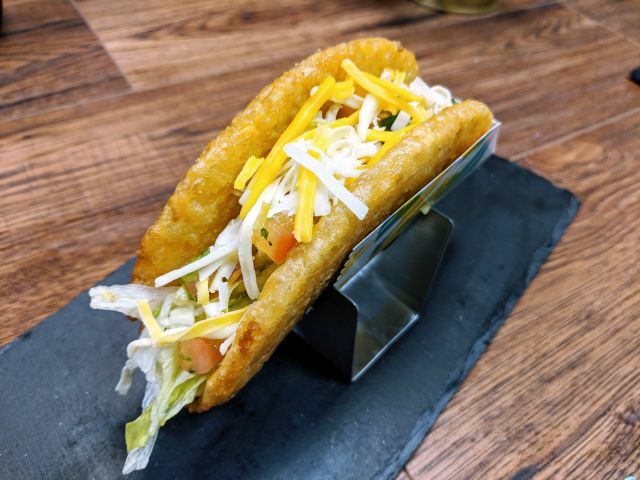 According to the company, the line is for those looking for "small, delicious bites full of sweet taste and crunchy textures." Photo by Q / BrandEating.com.